UK registered medical herbalist and practitioner of natural medicine Andrea McIntyre Rivers shares the building blocks of optimal nutrition to boost your child’s immunity. Our body is wonderfully designed. Despite a myriad of bacteria, viruses, parasites, and allergens we encounter daily, we survive and thrive. Only occasionally do we fall ill. When that does happen, our immune system swings into action fighting off the invader. And, as long as your child is well nourished, he or she will recover quickly! Optimal nutrition is a must. A whole food diet with organic (where possible) fruit, vegetables, dairy, animal protein, grains, nuts and seeds, beans and pulses, oily fish like salmon, and unrefined oils will build a solid platform for health. Breastfeeding your baby for as long as you can is a great start to a healthy life. Introduce new foods to your baby slowly one at a time, leaving allergenic food such as wheat, milks, and eggs, until last. To build up your child’s immune system, include the following key building blocks. They are not only necessary for growth and repair but also the normal functioning of the immune system by providing for the formation of antibodies. Animal protein is a complete protein and provides us with all amino acids (building blocks of proteins). Vegetable proteins (beans & legumes) are incomplete and need to be combined in the same meal to provide all amino acids. These are the fats that cannot be made by the body and so we obtain them from our diet. These are vital for the production of antibodies, healthy skin, blood, and kidneys. They help protect against heart disease and are necessary for the formation of every cell membrane and normal functioning of the brain and nervous system. EFAs are found in nuts, seeds, beans, and oily fish. They can be given in the form of unrefined oils such as flaxseed or walnut, to name a couple. Daily recommendations – one tablespoon of oil for children, 1 teaspoon for babies over six-months mixed into their food, and under 6 months, they’ll get enough EFAs from breastmilk. You can even massage these oils into your child’s skin with a couple of drops of a gentle and pleasant smelling essential oil such as lavender. These are crucial for the proper functioning of the immune system. The easiest and best way to ensure your children have a diet high in these nutrients is to give them lots of fresh organically-produced food – as much fruit and vegetables as possible. I do recommend supplements – a whole food children’s multi-vitamin and mineral taken on a regular basis should make up for any shortfall in vitamin and mineral consumption. In general avoid any food product with lots of sugar, salt, preservatives, and trans-fatty acids. These additives deplete the body or inhibit the body’s use of vitamins, minerals, and EFAs. Trans –fatty acids raise the “bad cholesterol “LDL”, which promotes heart disease and lowers the good cholesterol, “HDL”, which protects us against it. And when things do go off the rails a little, here are some herbs to help boost the immune system. My go-to herb. It’s one of nature’s finest anti-microbial, anti-viral, and anti-fungal, all wrapped into one! To keep the anti-microbial properties, do not cook garlic. Press a clove into food just before serving. By adding it to dishes regularly, kids grow to love the flavour. This is the spice that gives Indian curry its distinctive yellow colouring. Not only does it aid digestion, Tumeric is also a natural anti-microbial and anti-inflammatory. Add ¼ – ½ teaspoon daily to cooking. This is a great anti-viral herb that makes a pleasant tasting-tea. It has anti-microbial action, improves a sluggish digestion by stimulating the flow of digestive juices, aids absorption of nutrients, and helps with regular bowel movements. Licorice enhances the immune system by stimulating white blood cell formation and antibodies. It’s great to be given during or after illness to speed recovery. Useful for all chronic and acute bacterial infections, Echinacea needs to be taken every two hours during acute infections for it to be effective. It is important to ensure your child has a healthy digestive system to assimilate nutrients and eliminate waste products and toxins. Not only should they have nutritious meals regularly but also a proper bowel movement daily. 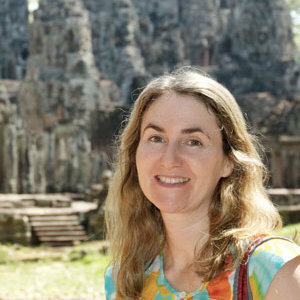 Andrea McIntyre Rivers, a UK registered medical herbalist and practitioner of natural medicine, received her postgraduate diploma from the University of Wales in 2001 and since then has practiced in the UK, China and Singapore. She works with a wide range of medical conditions in people of all ages employing a variety of natural modalities including herbal medicine, aromatherapy, therapeutic massage, pregnancy massage, diet and lifestyle counseling to address the root cause of the problem to bring the body back to health. Traditional Chinese Medicine is effective as a preventative medicine for young children. Find out the different ways TCM can help.